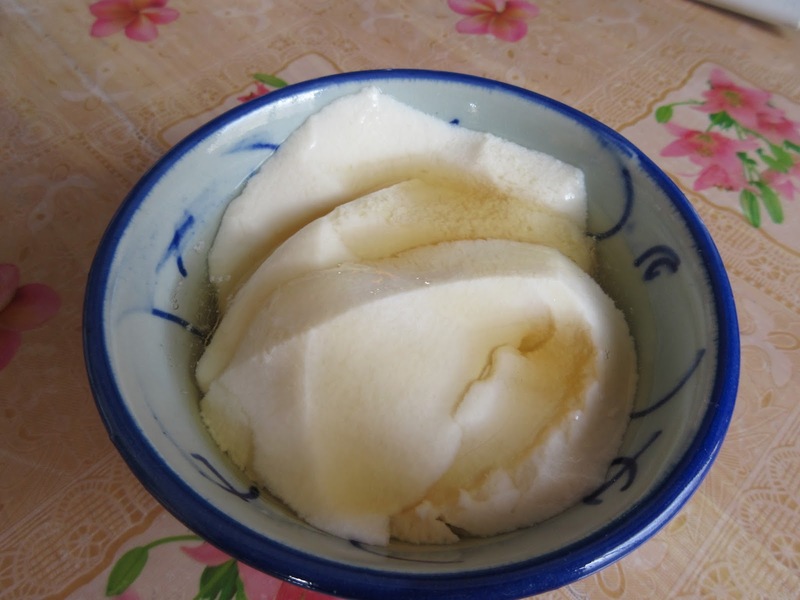 This is a familiar favourite among the local people. 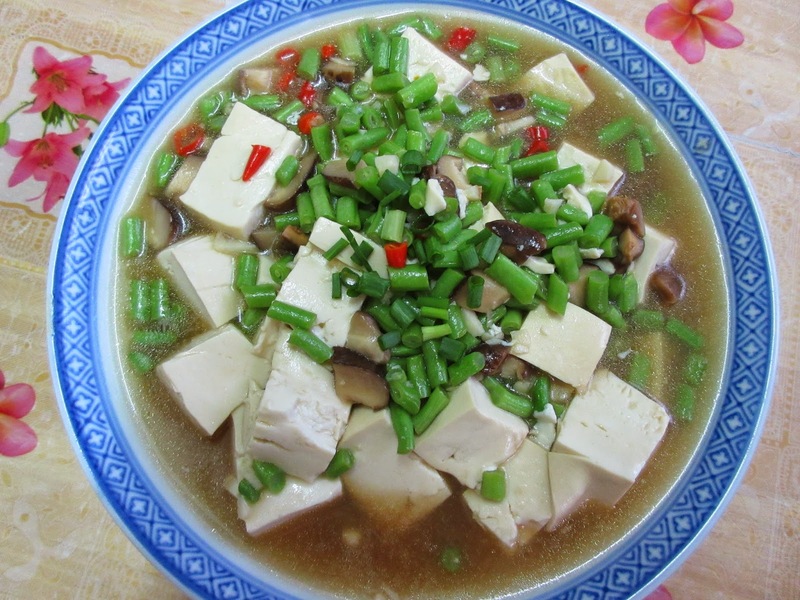 It is rich in protein and natural goodness. 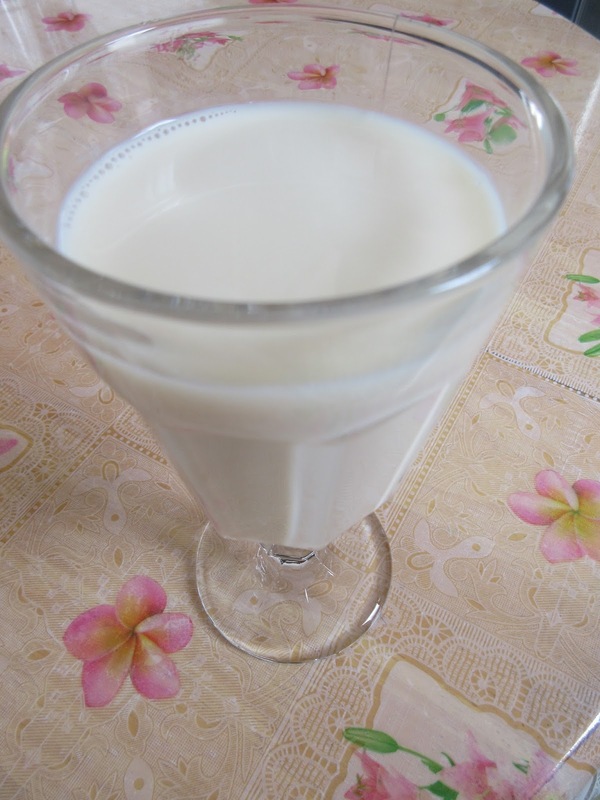 This drink is easily available in restaurants and food courts around town. 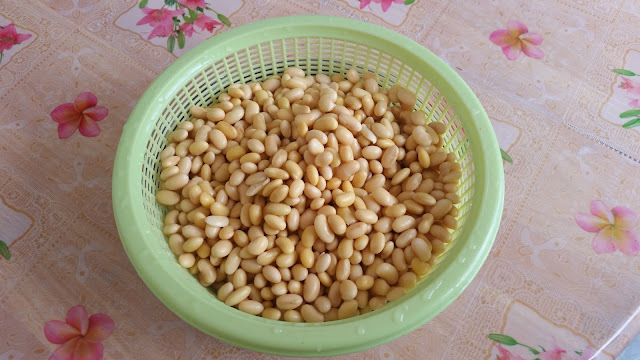 However, it feels good to be able to prepare this nutritious drink at home from raw soya beans. And of course the taste is so different because it is so fresh and unadulterated when it is home-made. The taste is just fantastic ! Boil all ingredients together until it thickens and turn syrupy. 1. Drain dry the soaked soya beans. 2. Place one quarter of the soaked soya beans into a blender and add in about 750ml of the water. Blend until fine. 3. 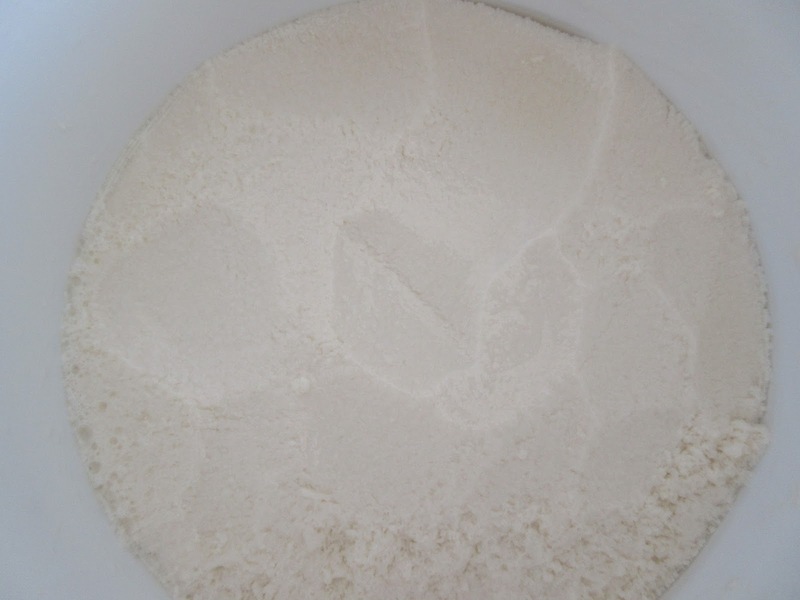 Use a sieve to drain the resulting mixture into another large container. Then transfer the pulp onto a piece of muslin cloth and squeeze out the soy milk. 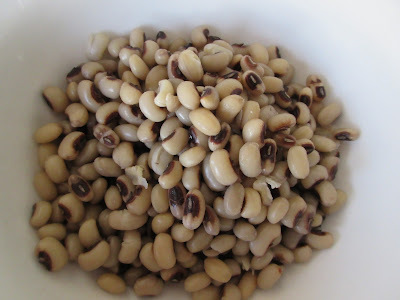 Repeat the process until all soya beans and water is used up. 4. 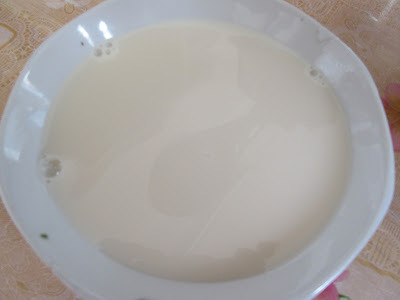 Use the muslin cloth to sieve the soy milk again. 5. 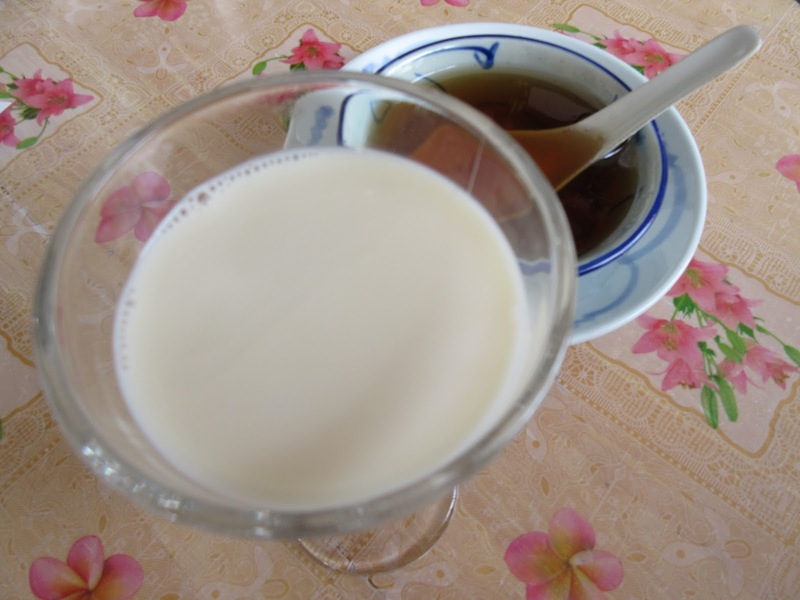 Boil the soy milk with 2 pieces of pandan leaves. Keep stirring until it boils. 6. Sweeten with the syrup. 7. Can be served hot or chill. * Important note- While boiling please use slow fire and keep stirring otherwise once it is burnt, it will carry the burnt taste. I adapted my recipe for long bean rice to make a vegetarian version of it. 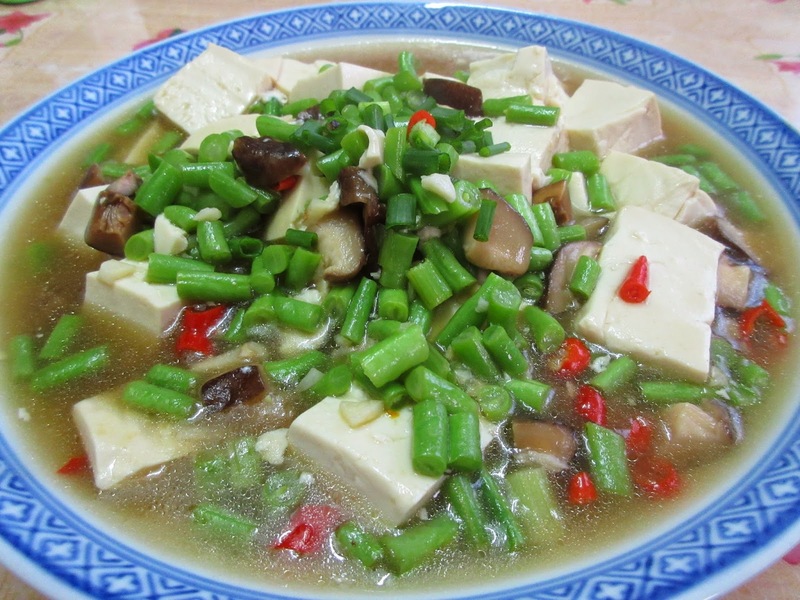 I cooked this to share with my fellow practitioners in a meditation group who are mostly vegetarians. We meet at least once a week and after group practice we share the different varieties of food others have brought along as well. We enjoy the pot-luck and the camaraderie among friends. 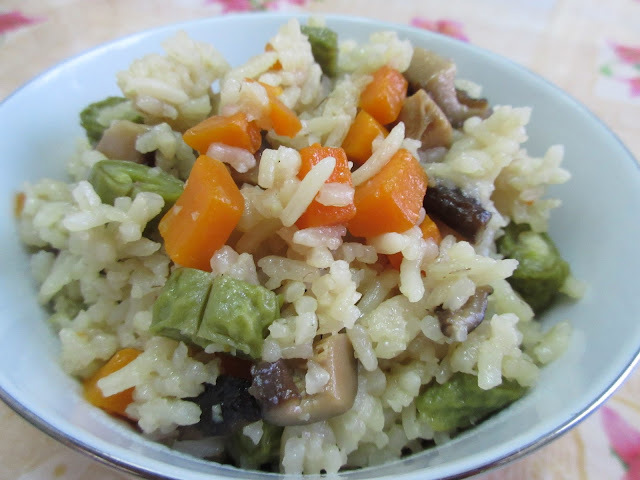 My friends enjoyed this vegetarian rice and said it is very fragrant. I thought I would post it here to share as well. 1. 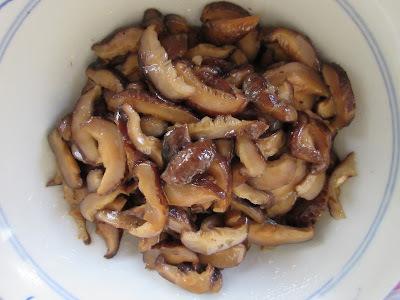 Marinate mushrooms with 2 tsp sugar, 2 tsp soy sauce and 1 tbsp cooking oil. Set aside for later use. 2. 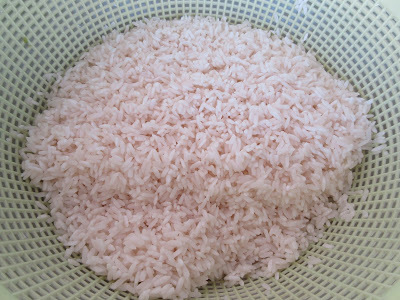 Wash rice and drain dry. 3. Heat wok with 4 tbsp cooking oil until very hot. 4. Add in the marinated mushrooms and stir-fry over high heat for 1 to 2 minutes. 5. Add in snake beans and carrot. Stir-fry well. 6. 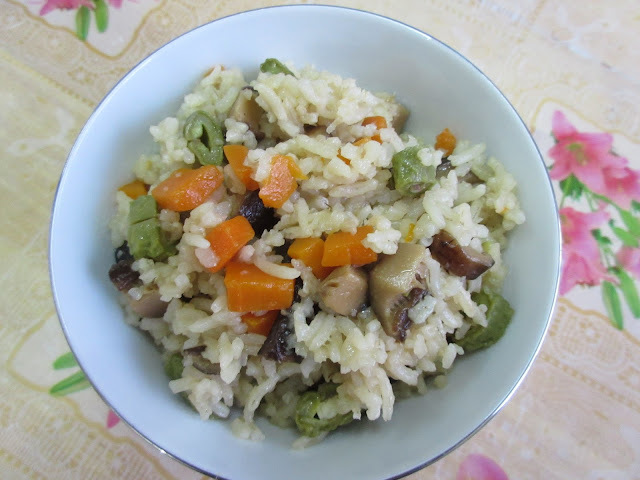 Add in rice and fry briskly for 1 minute to mix everything evenly. 7. 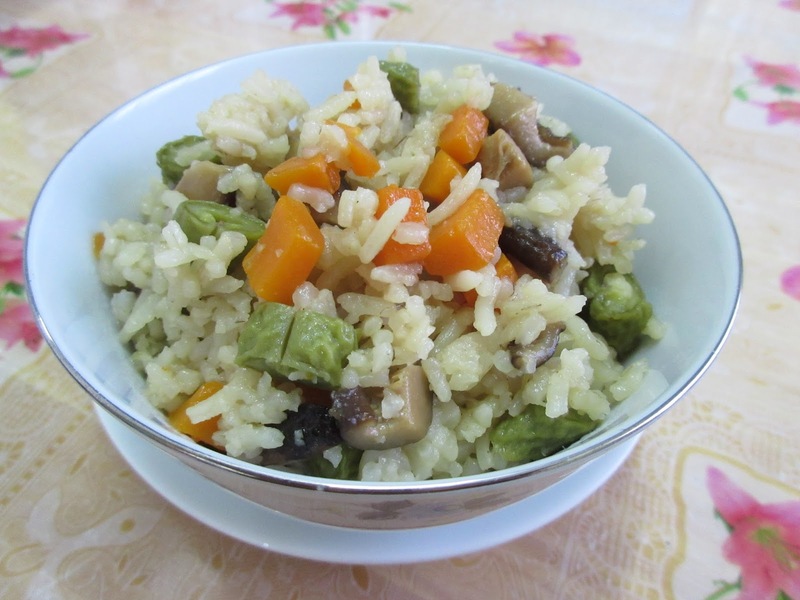 Scoop out all ingredients and transfer them into the inner pot of an electrical rice cooker. 8. Add in salt, oyster sauce and water. 9. 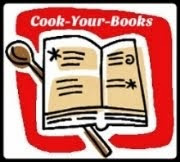 Auto -cook until done. 10. 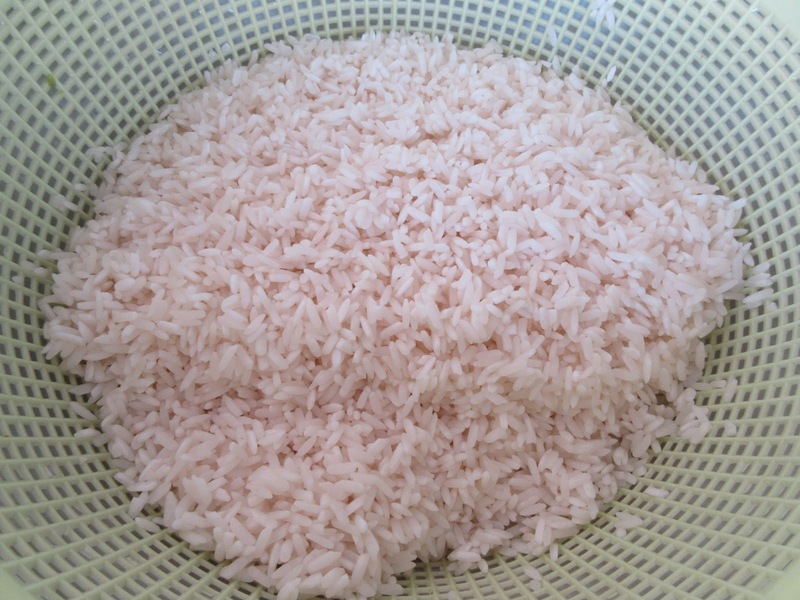 Use a pair of wooden chopsticks to fluff out the rice grains. 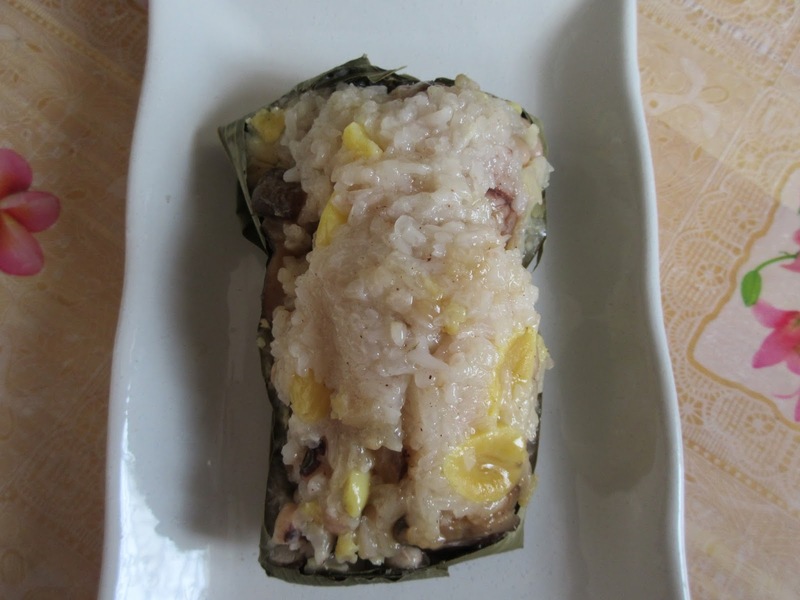 We had just celebrated the Dragon Boat Festival few weeks back. As usual, I made Bak Chang or savoury bamboo leaf dumplings with meat and an assortment of ingredients. Sometimes I make alkaline dumplings with red bean paste fillings. My family likes the spicy dumplings with dried shrimps sambal. 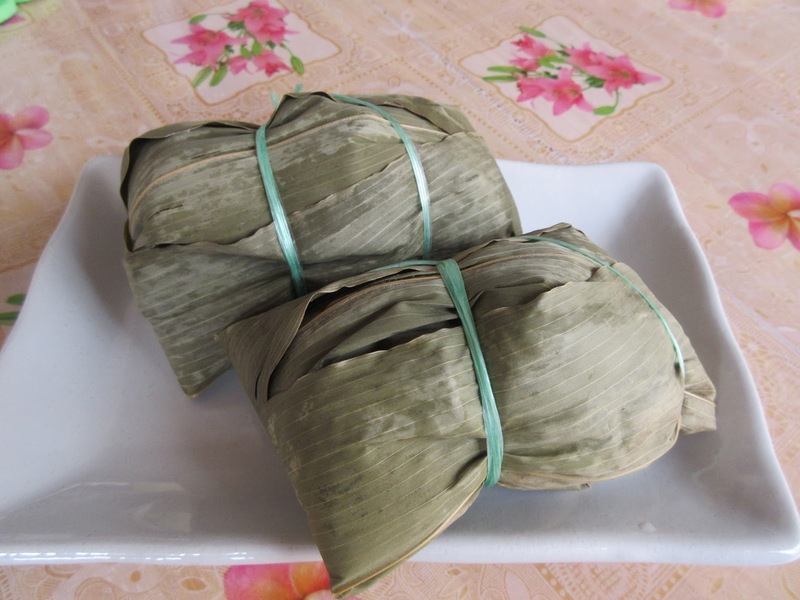 I still have some bamboo leaves left over and I thought of trying to make some vegetarian dumplings which I have never attempted before. The ingredients used and the method of making these vegetarian dumplings is the same as making my previous batches of savoury dumplings except that I omitted using meat and salted egg yolks. I used gingko nuts instead. 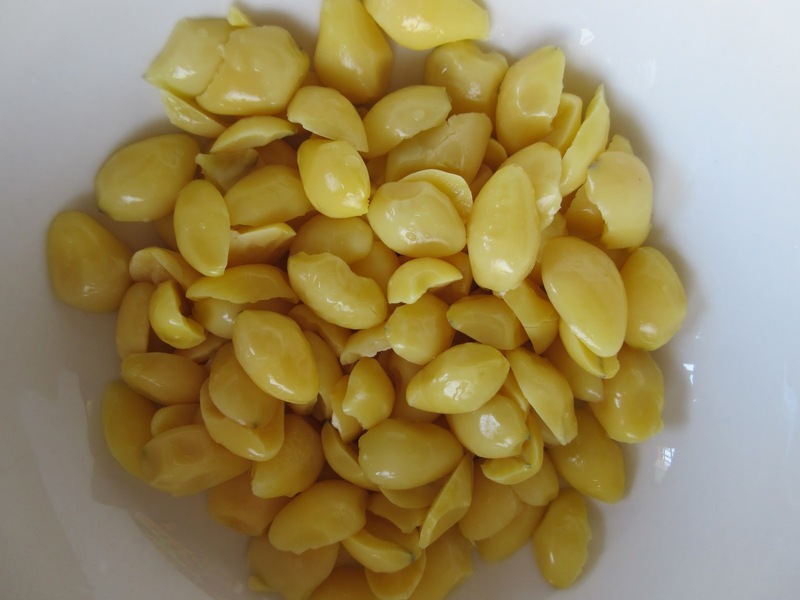 I love to eat gingko nuts and the yellowish color of the gingko nuts make the dumplings look more colourful. 1. 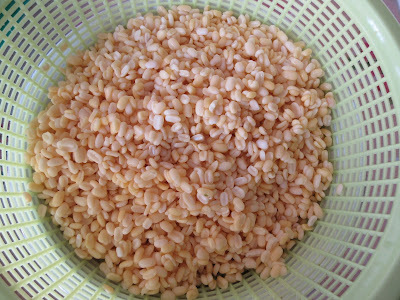 Wash glutinous rice and soaked in water overnight. 3. Then mix in the rest of the ingredients. Set aside. 1. Soak mushrooms in water until soft. 2. Slice the mushrooms and mix in all the ingredients to marinate for 5 hours or preferably overnight in the refrigerator. 3. 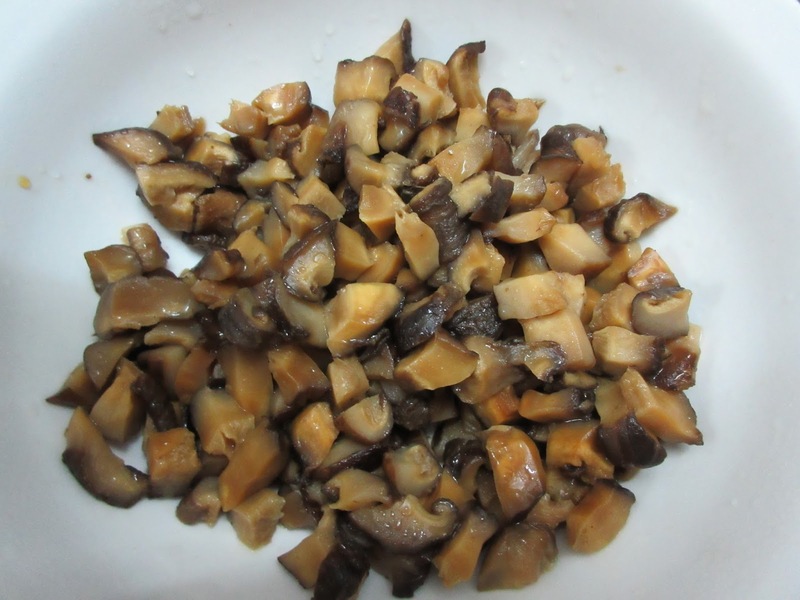 Pan-fry the marinated mushrooms over high heat for 1 to 2 minutes. 4. Remove and leave to cool. Set aside. 2. 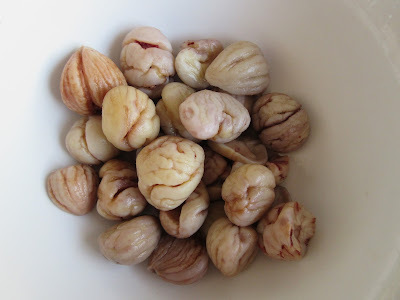 Then boil chestnuts in water with 1/4 tsp lye water until soft. 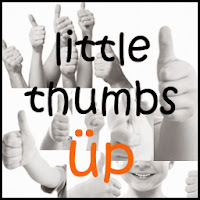 Take one between your fore finger and thumb and squeeze. If it breaks then it is ready. 3. Remove the brownish membranes from the ridges of the chestnuts with a toothpick. 1. Soak in water overnight. 2. Then boil in water with 1 tsp salt until soft. 2. Drain away the water. Boil the mung beans with 1 1/2 tsp salt and 2 tsp sugar till soft. 3. Drain dry. Set aside. 1. Cut into halves and remove the embryo as it is very bitter. 2. Wash and drain. Then add in 1 tsp sugar. 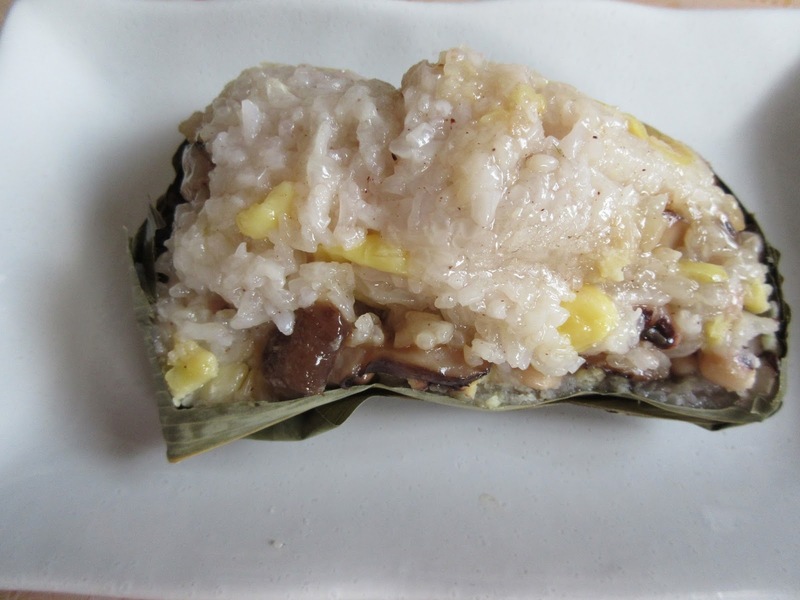 Please refer to my previous post Savoury Bamboo Leaf Dumpling for a step-by-step guide on wrapping the bamboo leaf dumplings. 1. Bring 5 litres of water to a boil. Add in 3 tbsp salt to the boiling water. 2. Put all the wrapped dumplings into the boiling water. 3. Boil for 2 to 2 1/2 hours. Given a choice, I would not choose chicken white meat as I had been "conditioned" to think white meat is tough and coarse, even though the health conscious would most certainly opt for white meat rather than drumsticks which are considered "fatty". However, during one of our office lunches, I asked my friends to order on my behalf as I would be joining them later. When my order arrived, I was served a plate of grilled white meat with an assortment of vegetables and fries. That platter looked very appetising and very soon I forgot all about my misconception about white meat because the chicken was not tough at all and very tasty. Well, that platter of white meat certainly changed my view! So, when I browsed through my scrap book of recipes and came across this lovely recipe on grilled honey chicken, I wanted to try it out. This is great! Everything tastes wonderful! 1. Combine all the marinade ingredients in a mixing bowl. 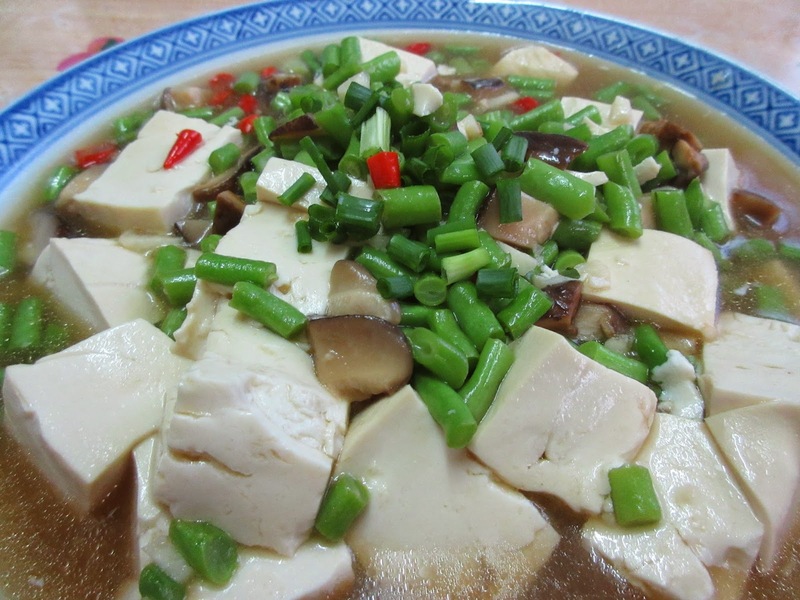 Add chicken fillet in the marinade and set aside for several hours in the refrigerator. 2. Brush a grill pan lightly with oil and grill the marinated chicken for 8 to 9 minutes on each side or until the meat is cooked. ( Alternatively, grill in a preheated oven at 220 degree C for about 10 minutes on each side or until the meat is cooked ). 3. Grill the pineapple rings and tomatoes halves until just soft. 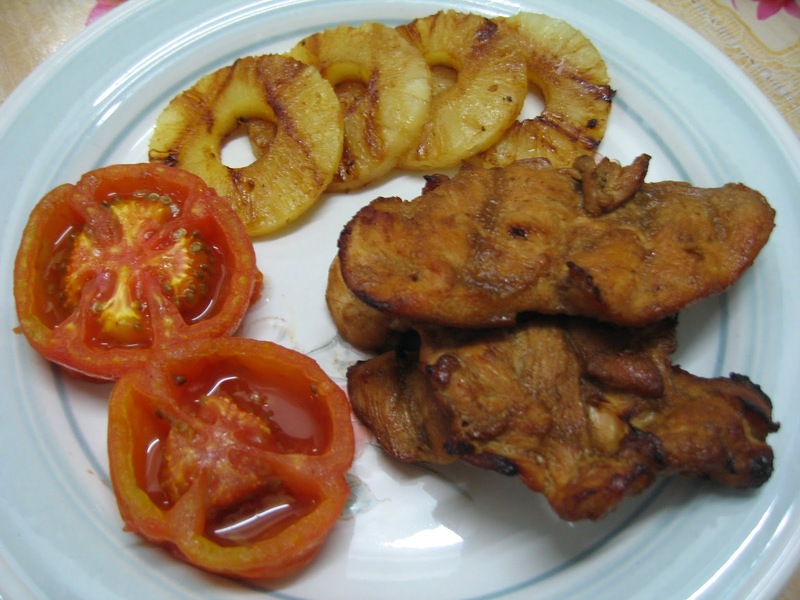 ( I used the left-over marinade to brush the pineapples and tomatoes before grilling ). 4. 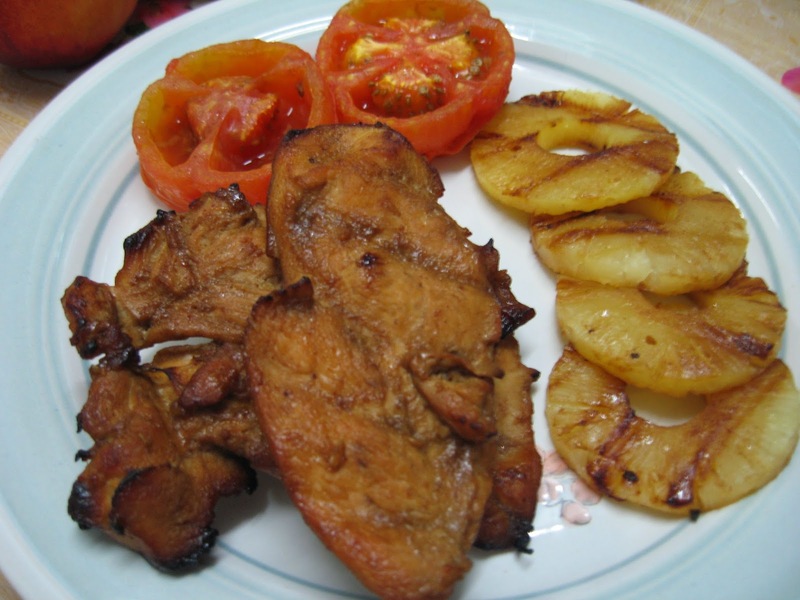 Serve the grilled chicken meat with grilled pineapple rings and tomatoes halves. Kuih kodok is among the favourite choices during tea-breaks at my office. 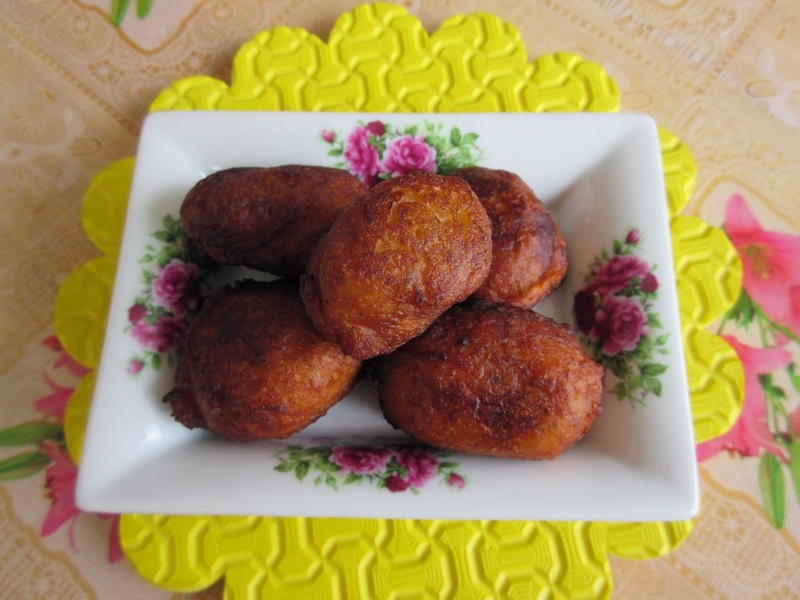 For RM1-00 we can get eight pieces of kuih kodok. They are literally "hot" favourites as people queue up to wait as the vendor keeps stirring and frying the kuih kodok in her big wok. They are cheap and tasty. However, it gives me a pure sense of satisfaction and accomplishment each time I am able to make some tasty tidbits on my own, with reasonable success. 2. 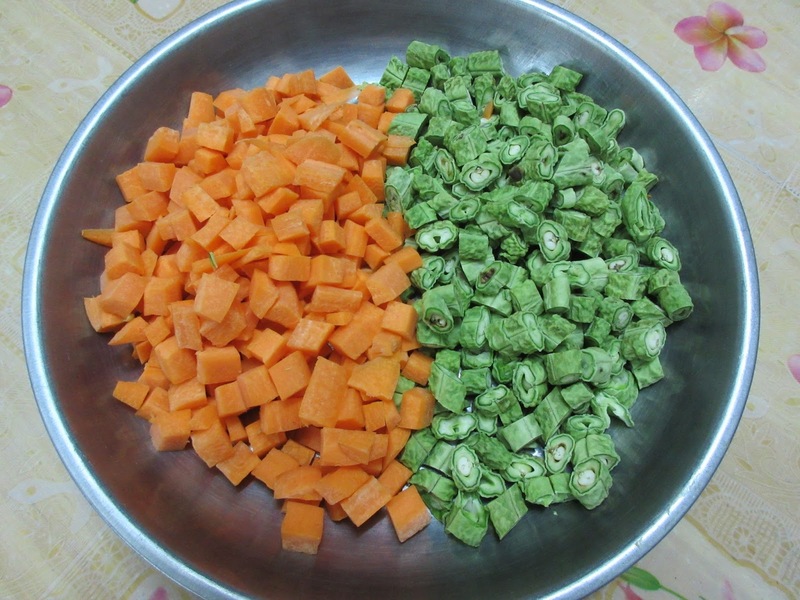 Mix in all the ingredients to combine into a batter. 3. 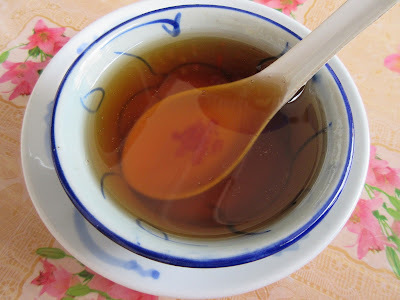 Heat wok with enough oil on medium heat. 4. 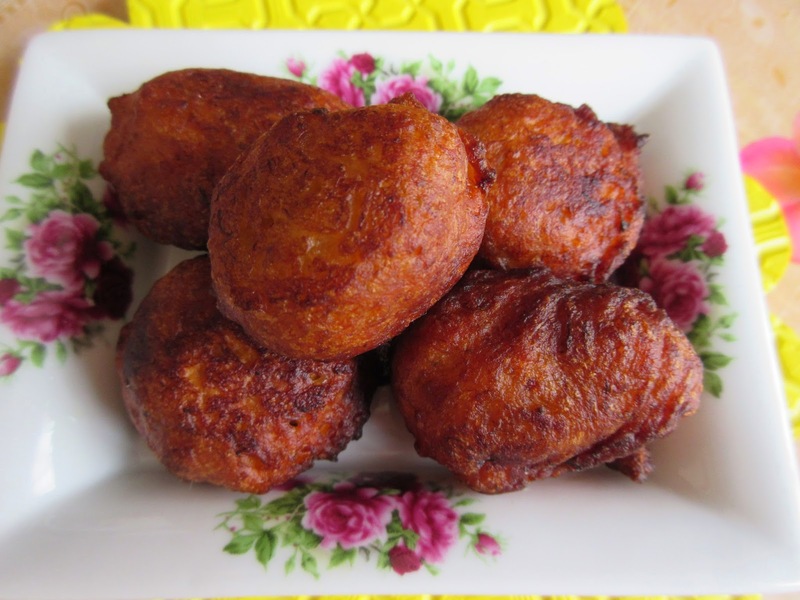 Spoon 1 tsp of batter into hot oil and fry until golden. 5. Remove and drain on several layers of kitchen towels.